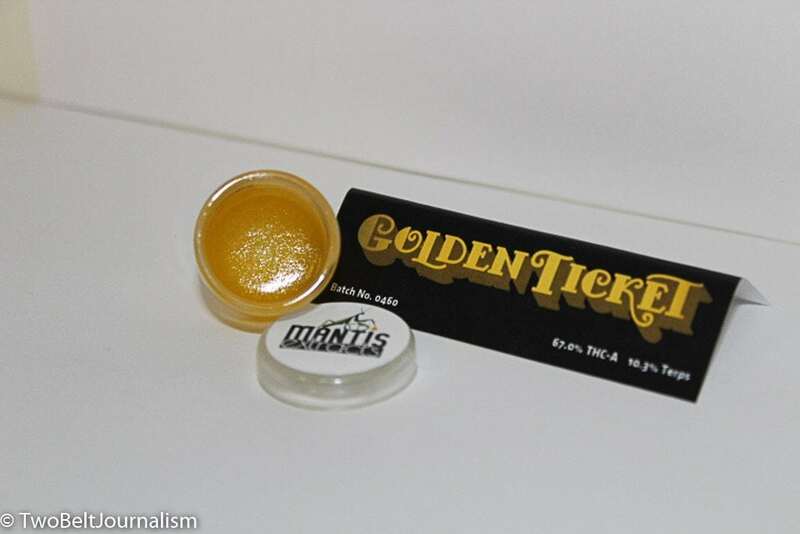 Golden Ticket from Mantis Extracts sells itself. The golden yellow sauce shines through the plastic while the strain sticker adds to the overall shelf appeal. $50 for the top of the top shelf is reasonable for a price when many brands are charging upwards of $60 per gram. I picked this up for $40 with a discount, always check shop deals before spending your cash. Ripping open the plastic to get to the jar was simple. The back pops open without hassel. Once the jar was in my hand I noticed the strain sticker on the jar itself, a small cosmetic detail, but it added to the overall visual appeal. Once the lid popped off, a lemon pine smell wafted out and caressed my nose. The aroma ranges from distinct lemon to a blend of other citrus flavors. The consistency was saucy, but not overly tacky and sticky. It clung to the dab tool with ease, whether small or huge, selecting the right sized dab is always easy. Taking a fairly large dab and the high was clearly cerebrally focused, but never hit the paranoia/racy barrier. 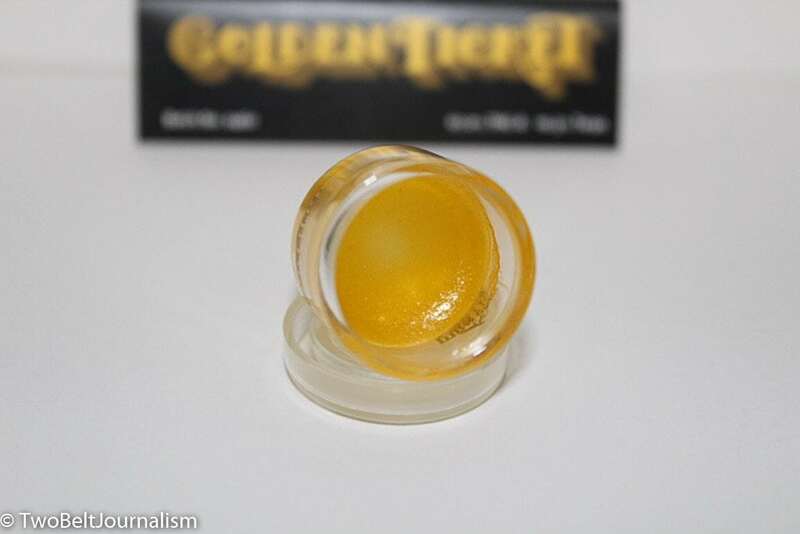 It was easy to sit down and write every time I dabbed a glob of Golden Ticket. The high was fairly mellow and long lasting, perfect for people who dab during the day. I recommend using this strain for physical activities so you can keep focused and relax your muscles to keep hammering. Aromatics: Lemon citrus and sweet pine. FOR MORE UPDATES ON STRAINS AND PRODUCT RECOMMENDATIONS, FOLLOW RESPECT MY REGION ON FACEBOOK & TWITTER. Previous ArticleWhat Happened At YAMS DAY 2018?